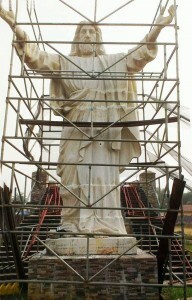 A new giant statue of Jesus is about to be unveiled in a Nigerian village, according to USA Today. 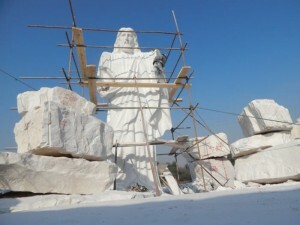 Dubbed “Jesus de Greatest,” the new statue was commissioned by a Nigerian businessman. 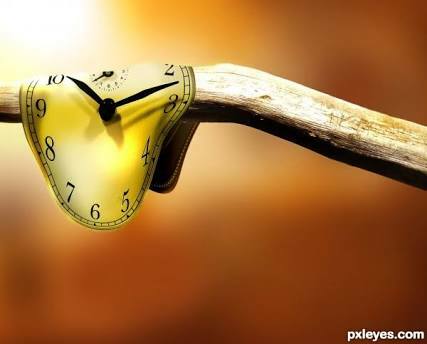 It is due to be unveiled on New Year’s Day outside St. Aloysius Catholic Church in Abajah village, in southeastern Imo state. Obinna Onuoha, a devout Catholic, hired a Chinese company to carve the statue of a barefoot Jesus, arms outstretched, from white marble. It will stand 28 feet tall, which makes it a good deal shorter than the famous “Christ the Redeemer” statue towering over Rio de Janeiro at 98 feet in height, not including its pedestal. Both are dwarfed by the tallest statue of Jesus in the world, the 118-foot-tall”Christ the King” in western Poland. 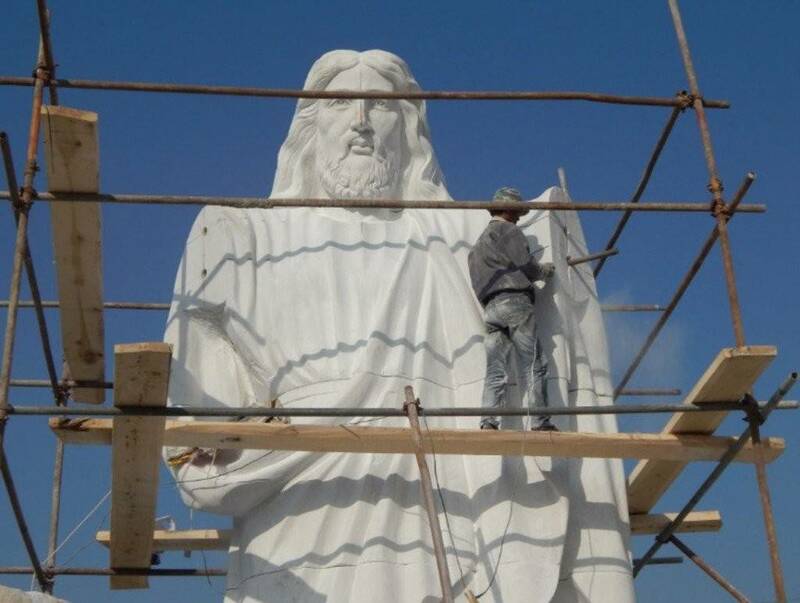 Undeterred, Onuoha has described his as the tallest Jesus statue in Africa, and said he expects about 1,000 people to attend its unveiling on Friday. 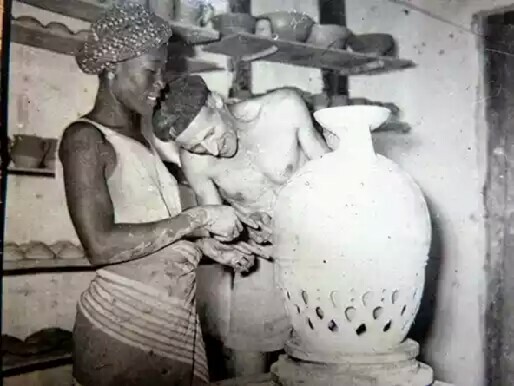 Onuoha said it is meant to be a symbol of peace for Nigeria, which since 2009 has faced an Islamist insurgency in the country’s northeast. But not everyone is thrilled with the new statue, which has been criticized as idol worship. 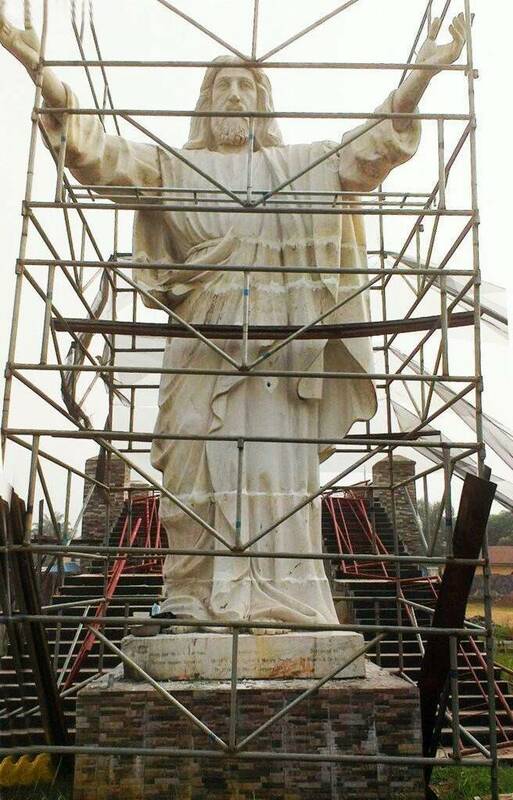 Some Nigerians on Twitter have wondered why the statue depicts a white Jesus. Others may take issue with a giant Jesus statue as a symbol of peace and reconciliation in a country that is half Christian and half Muslim. 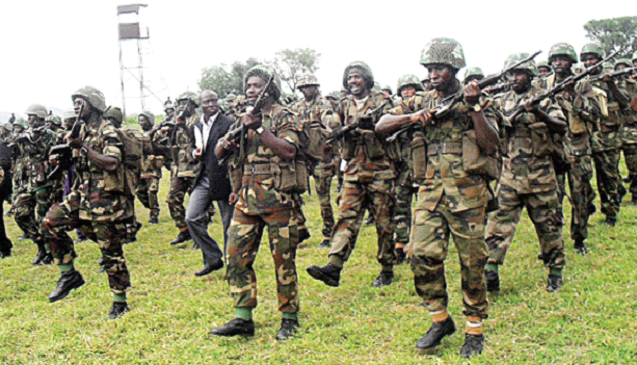 The Boko Haram insurgency has affected Nigeria’s mainly Muslim north, killing some 20,000 people over the past six years. 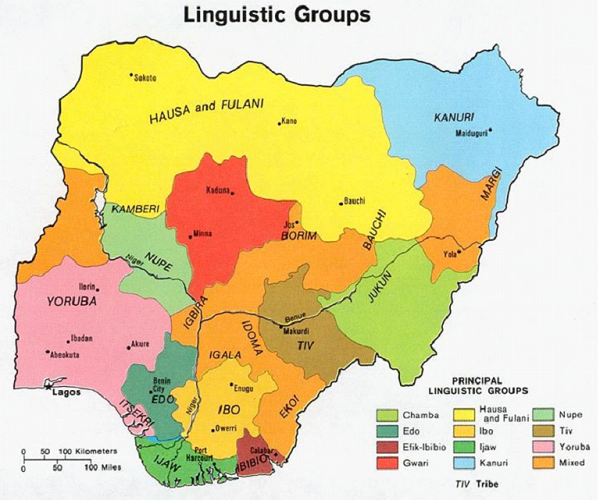 The predominantly Christian south of Nigeria has so far remained unscathed. “Beware, that statue can’t last long — Nigeria is not peaceful for this kind of stuff,” said one commentator on a Nigerian discussion website.